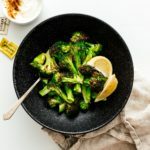 If you're looking for perfectly crispy broccoli with just the right amount of char, it's time to break out the air fryer. I never thought I would say this, but I think I’m an air-fryer convert. We got one as a gift this Christmas, and after about three weeks of it just sitting there, taking up space, I decided to take the plunge and air fry something. You’d think it would be a package of frozen fries because I LOVE fries, but no, I decided to go the healthy route and do air-fryer broccoli. Although air-fryers look intimidating – at least to me – they’re very simple. Put the food in the basket, then press the buttons. Wait and you’ve got yourself some crispy food! Broccoli was the perfect vegetable to start out with. The florets crisp up and char nicely and the stalks get cooked through with just the right amount of bite. That being said, feel free to play around with the cooking time a bit if you like your broccoli on the more tender side. I went with 10 minutes at 400°F and felt like that was the best texture. 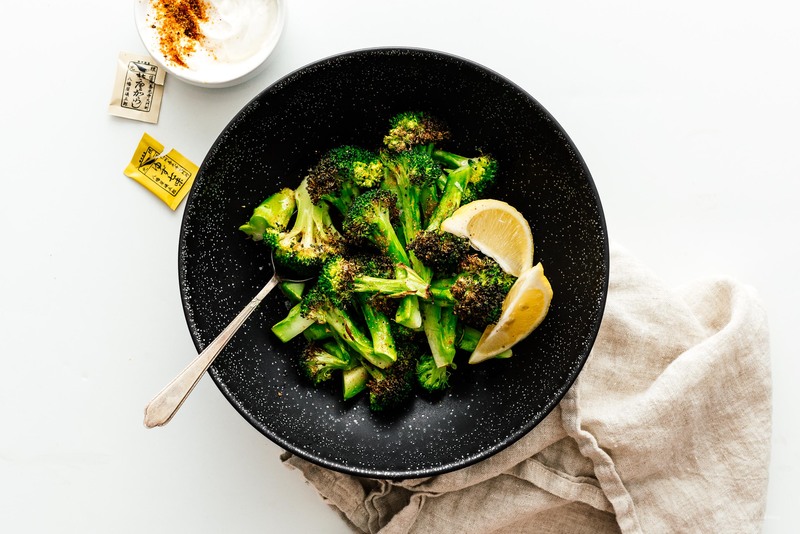 Serve it up with a simple dip of yogurt and lemon with a sprinkle of shichimi togarashi and you’ve got yourself an easy healthy snack or side. 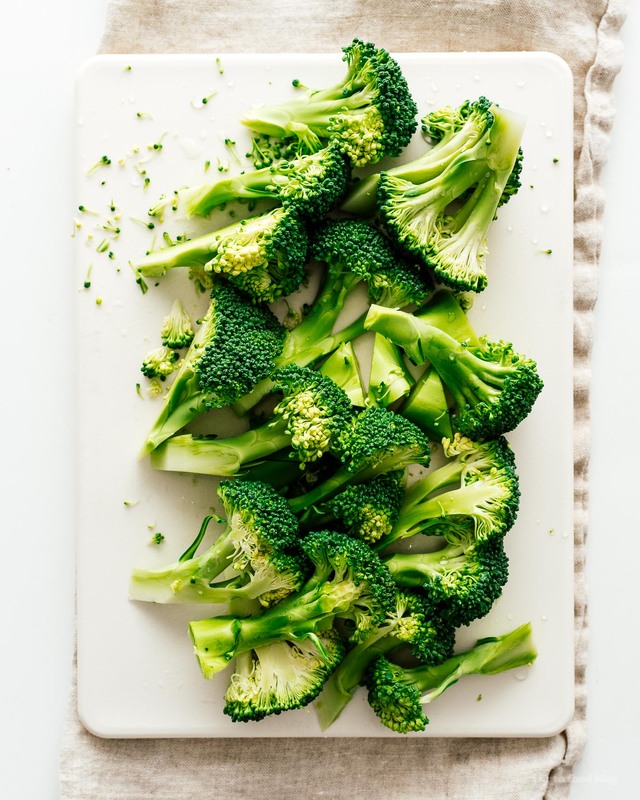 Prep your broccoli by washing and throughly drying. Cut into large florets, about 2 inches. 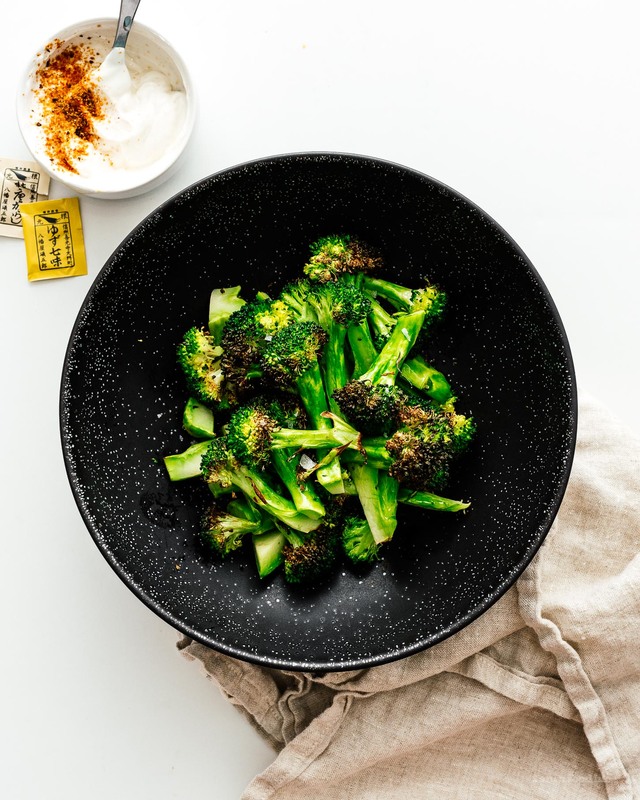 Place the broccoli in the air fryer basket and lightly mist with cooking spray or toss with a small amount of oil. Season with salt and pepper. Turn the air fryer on at 400°F for 5 minutes. Shake and flip the broccoli, then set it again for 5 minutes at 400°F. At this point the broccoli will be crisp and tender, but if you like broccoli that is soft, go for another 5 minutes at 400°F. Remove from the basket and enjoy with lemon, shichimi togarashi and yogurt for dipping, if desired.